"Slam it to the left if you are having a good time, shake it to the front if you know that you feel fine"
I will never pass up the opportunity to quote the Spice Girls and that is exactly what ran through my mind when I first opened up the NV Ginger Spice candle. In fact I may convince a few friends to dress up as Ginger and co for Halloween this year...and people say I'm not cool! All jokes aside I am back on the candle bandwagon (I'm not sure I ever fell off) and my find is the NV Ginger Spice candle which is so far out of my comfort zone that it is truly surprising that I like it. Typically I avoid spice based scents like the plague and I'm not at all a fan of ginger fragrances either and yet here I am not only burning NV's Ginger Spice but thoroughly enjoying it too! NV list their Ginger Spice offering as a "spicy scent of crystallised ginger enhanced by a generous pinch of warm cinnamon" although not listed I find this fragrance to be uplifting, indulgent and slightly zesty, I swear I can detect an orange note! In fact it reminds me of spiced oranges at Christmas and as a result I find it to be festive and perfect for the impending Winter. Despite having a slightly spicy kick this fragrance is not at all over powering and rather delicate with a great fragrance throw...well as delicate as a scent of this type can be. As it is now clearly candle, pj and a good film weather why not try out a new brand? 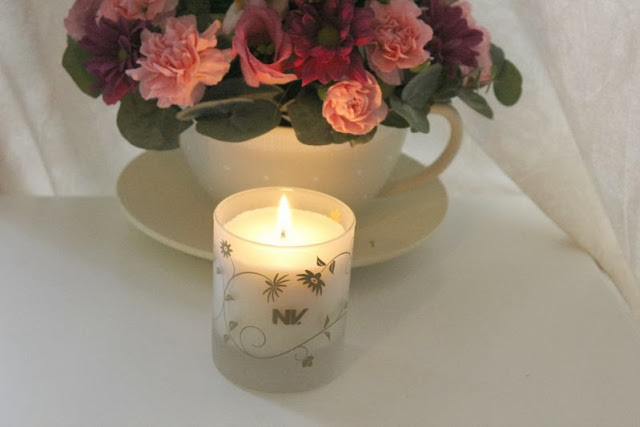 All of NV's candles are hand made within the UK and feature 100% soy wax, not to mention they are beautiful presented and fairly well priced. Loving the spice girls lyric! This candle sounds gorgeous, something about ginger that just reminds us of christmas! Ahh I love spiced candles, and spice girls for that matter!